Famed for his amorous exploits, he led a richer and more complicated life than is generally acknowledged. A man of deep-seated intellectual ambitions, he was among the first jetsetters of modern times. Journey with Casanova through his Europe and see its art and people through his eyes. 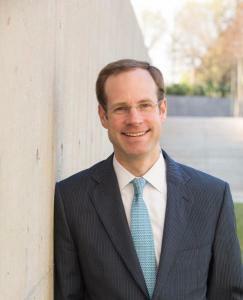 An expert of European art of the Renaissance and Baroque, C. D. Dickerson serves as curator and head of the department of sculpture and decorative arts at the National Gallery of Art in Washington, D. C. Prior to joining the curatorial staff of the Gallery in 2015, he spent eight years at the Kimbell Art Museum in Fort Worth as curator of European art. Among the exhibition he has curated are From the Private Collections of Texas: European Art, Ancient to Modern (2009-10); Bernini: Sculpting in Clay (2012-13); and The Brothers Le Nain: Painters of Seventeenth-Century France (2016-17). Dickerson received his Ph.D. from the Institute of Fine Arts, New York University, and bachelor’s degree from Princeton University. This is the sixth annual lecture honoring the legacy of Hillwood’s former executive director, Frederick J. Fisher, who served for twenty years (1990-2010). H. : 0,74 m. ; L. : 0,94 m.